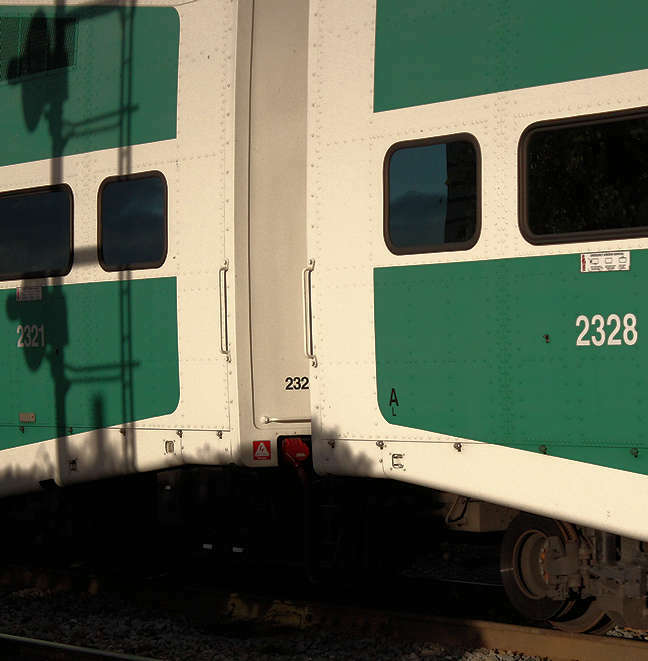 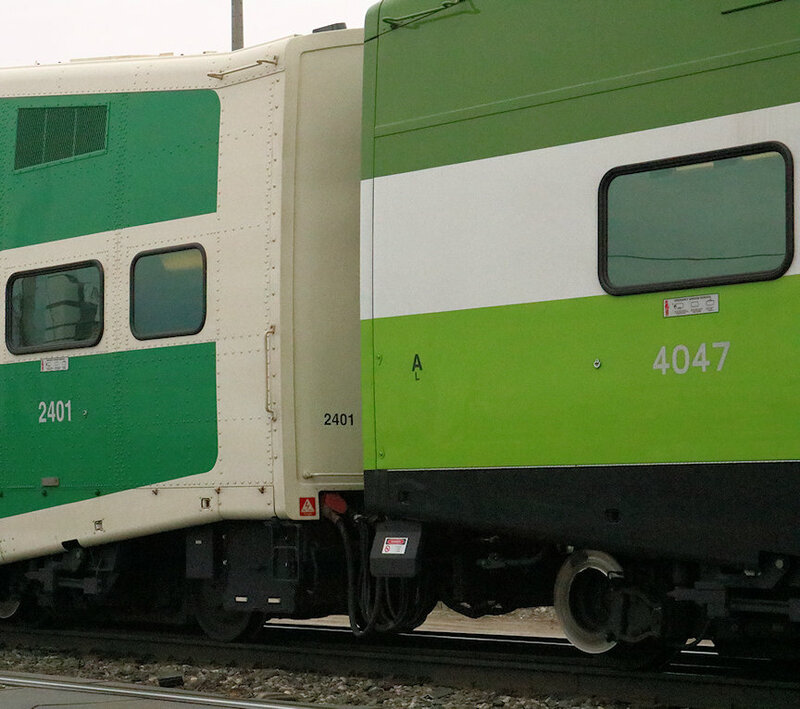 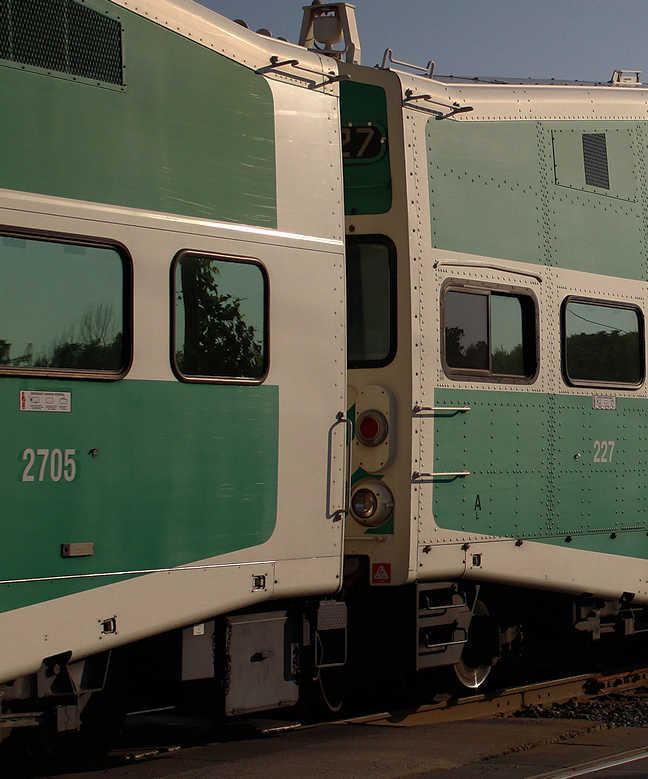 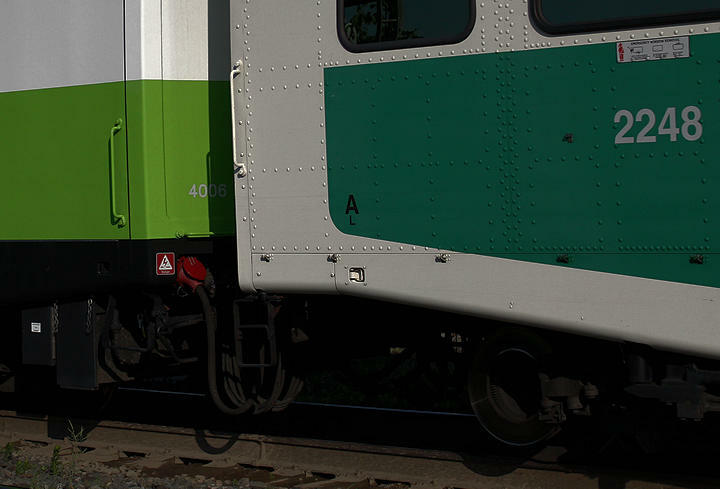 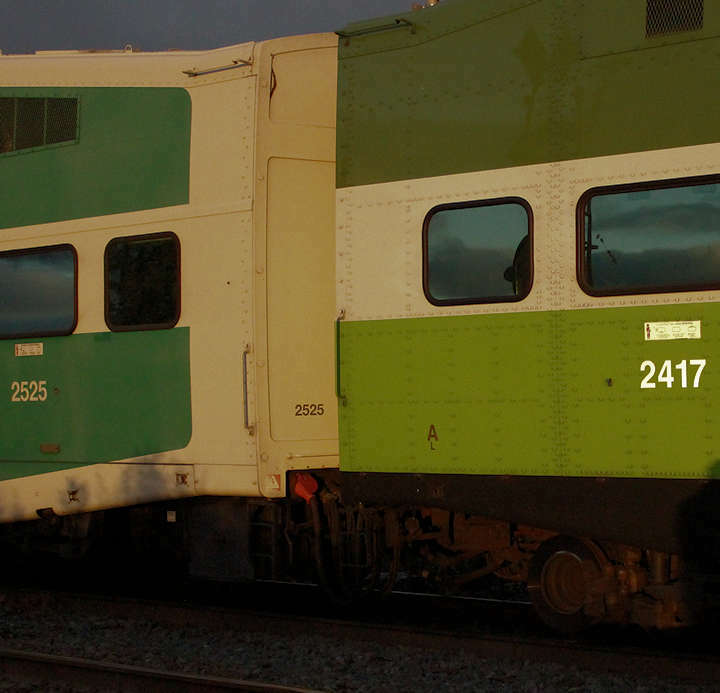 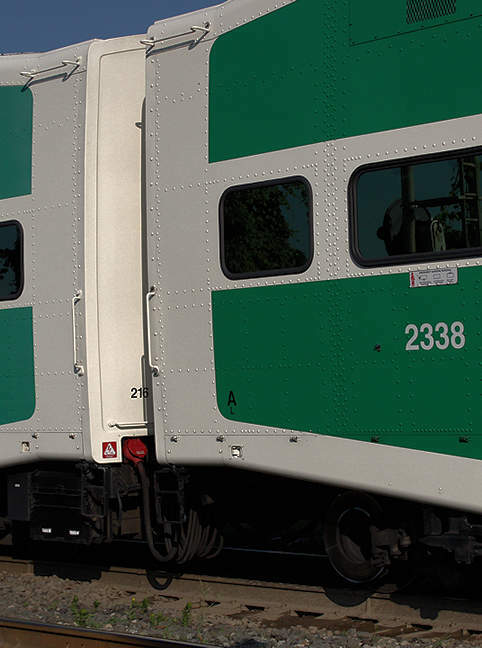 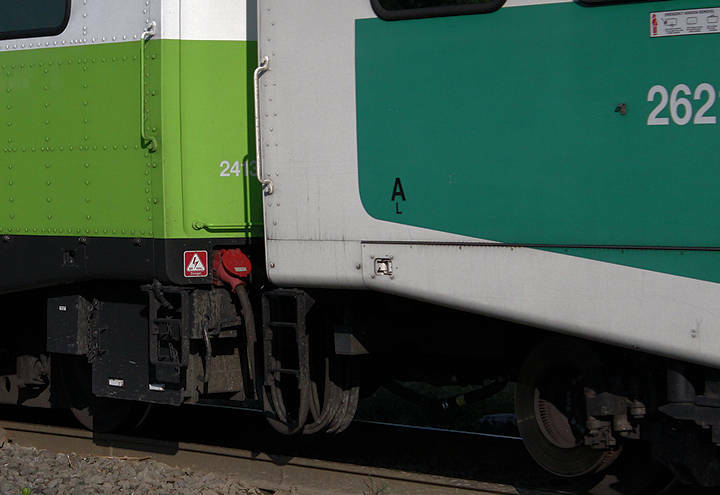 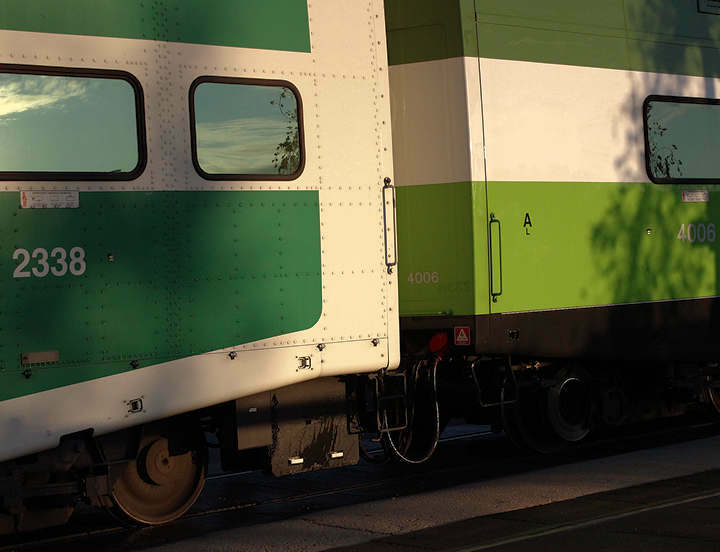 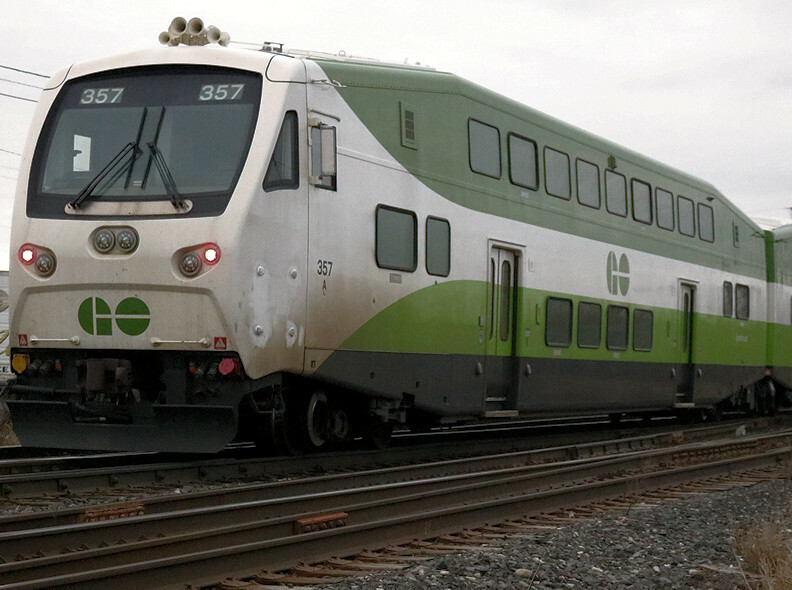 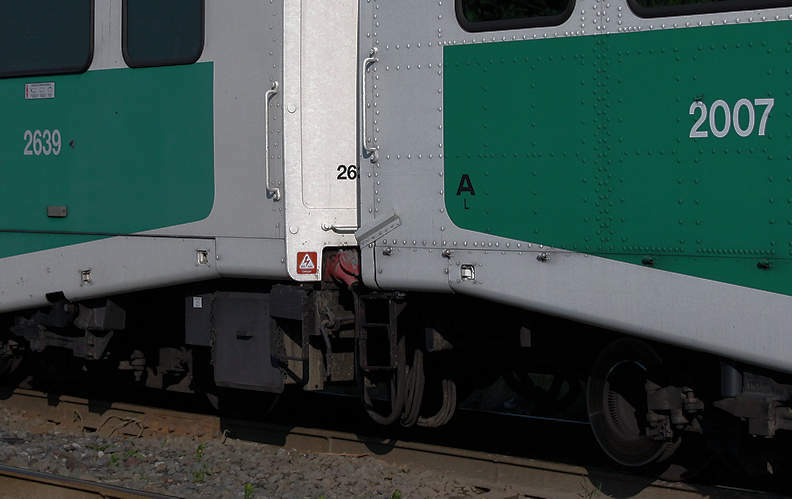 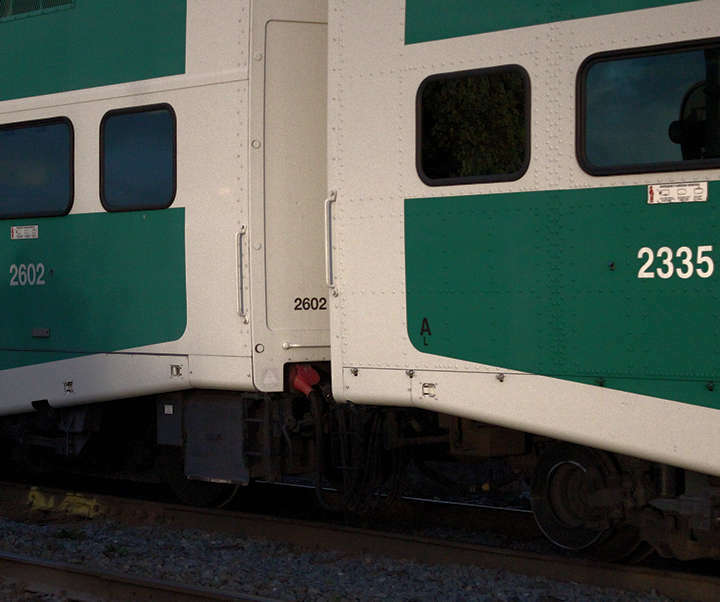 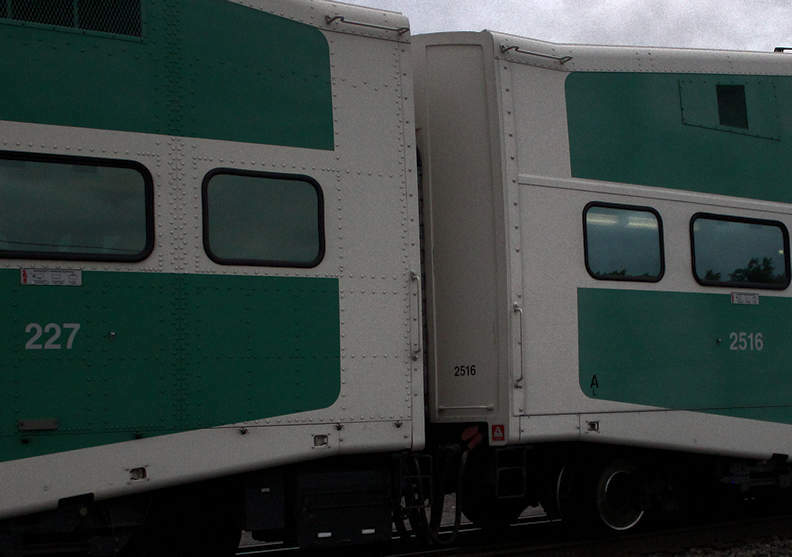 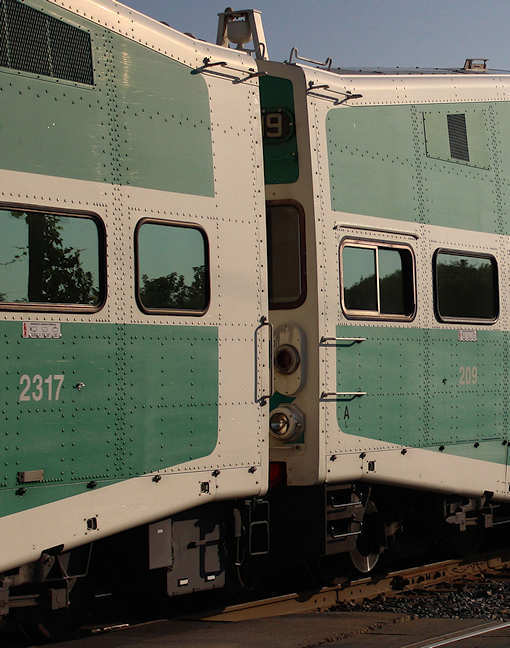 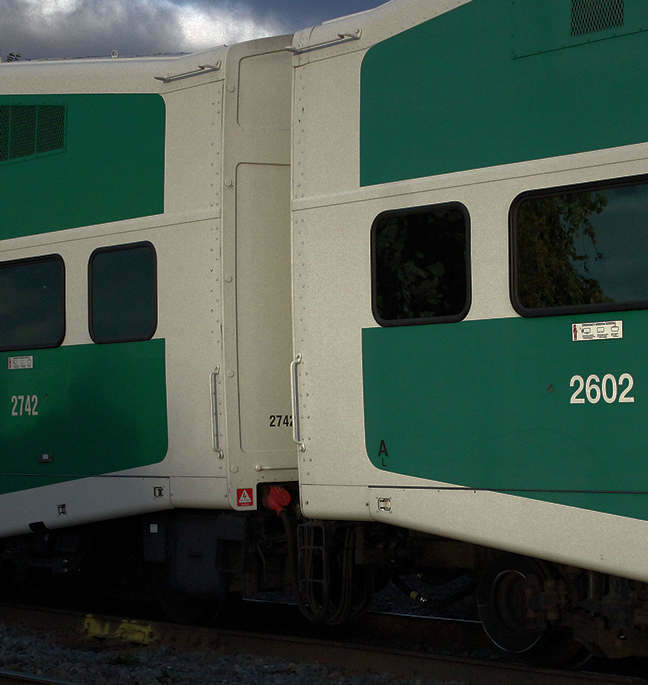 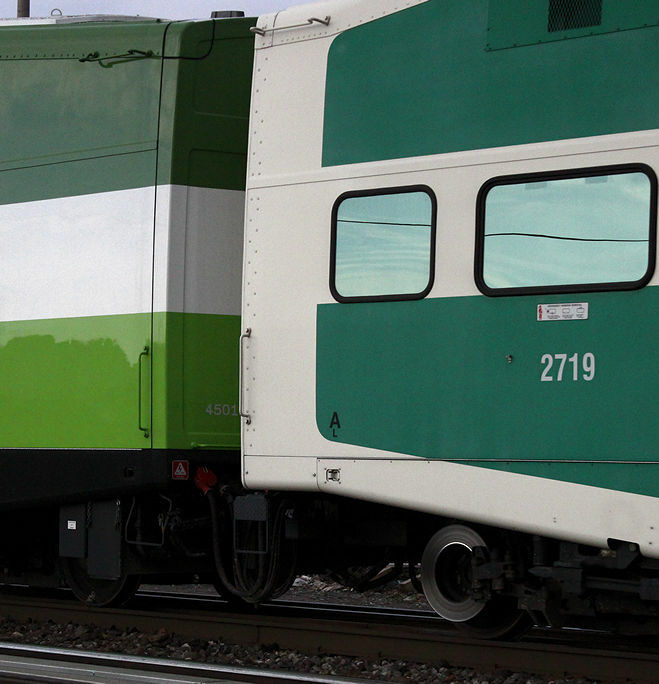 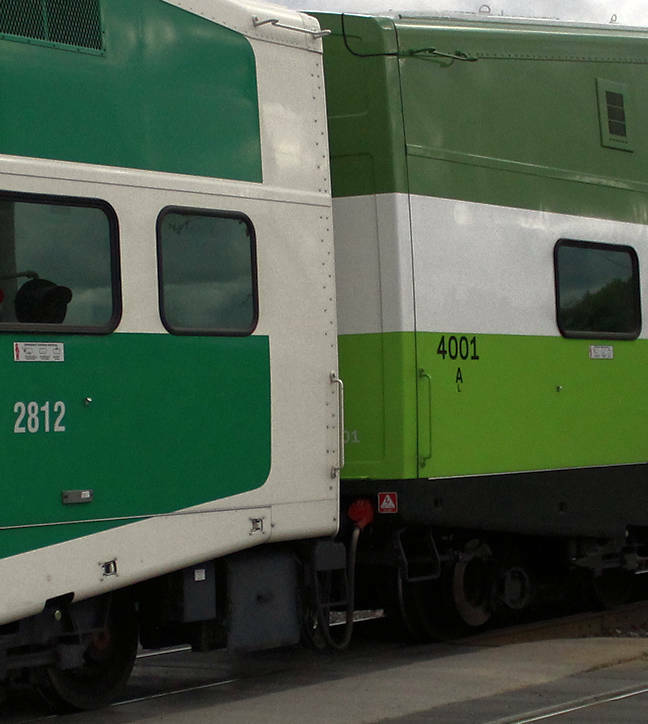 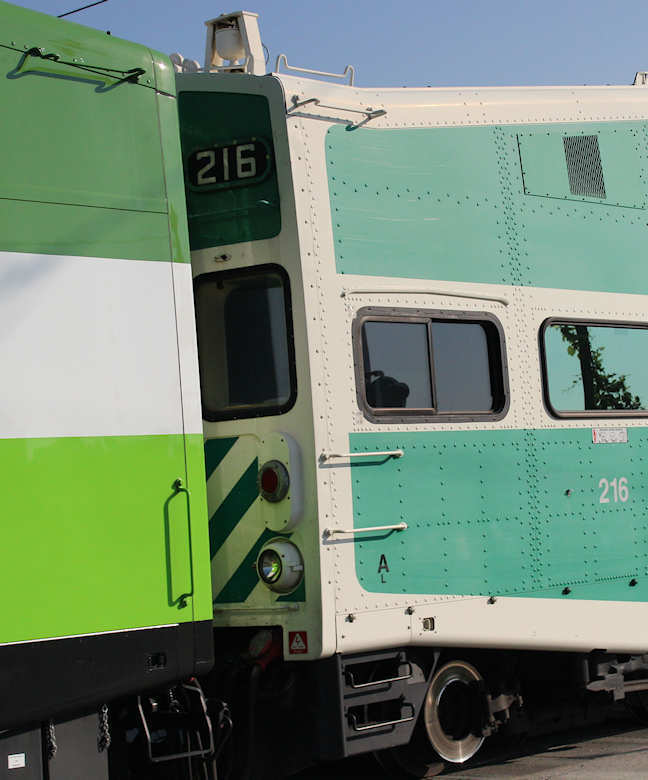 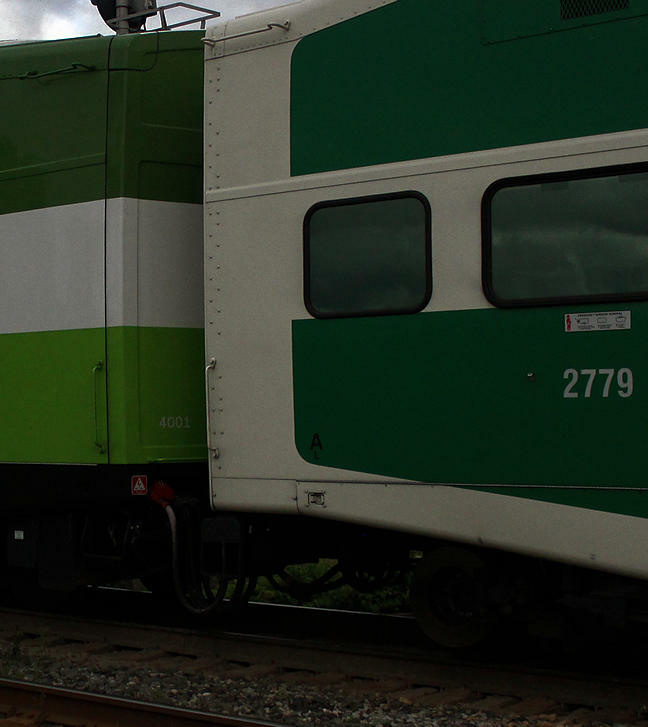 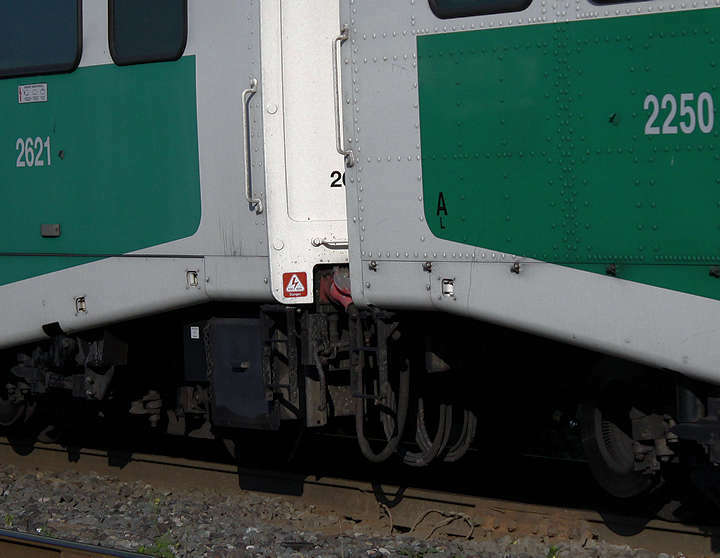 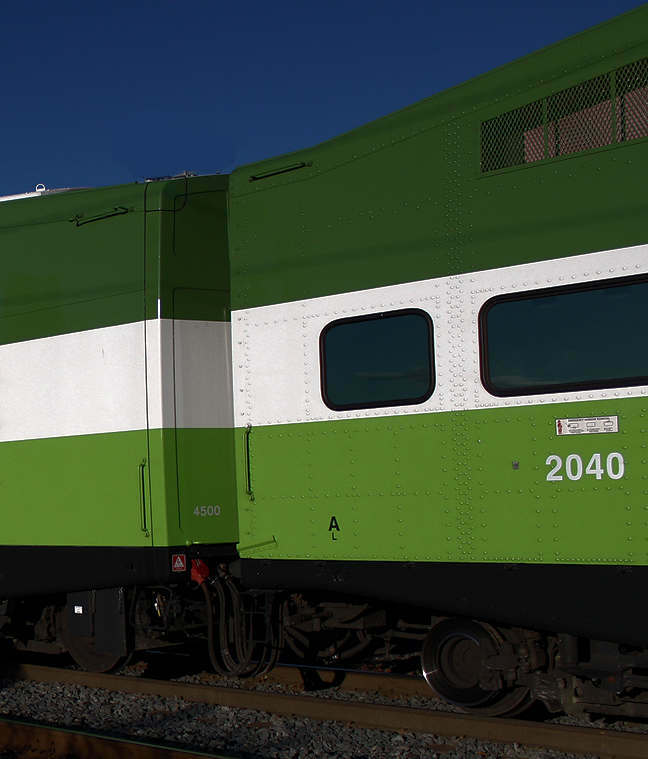 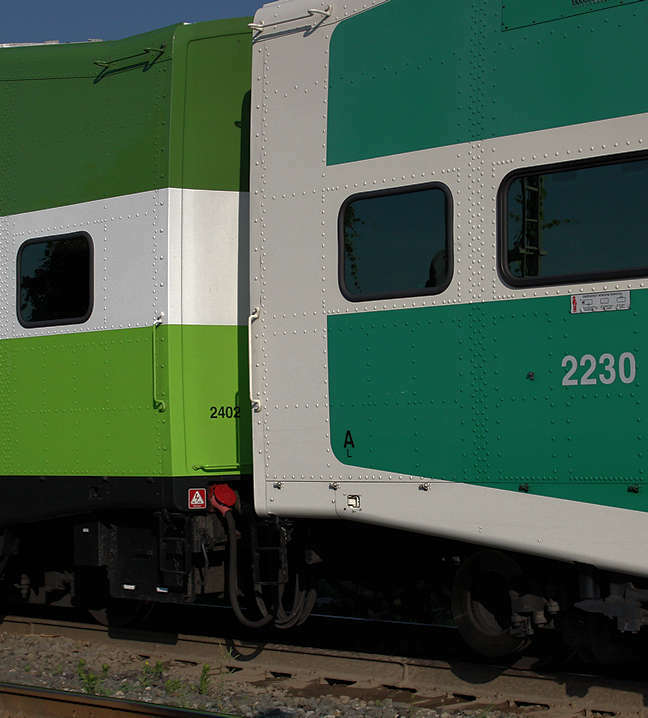 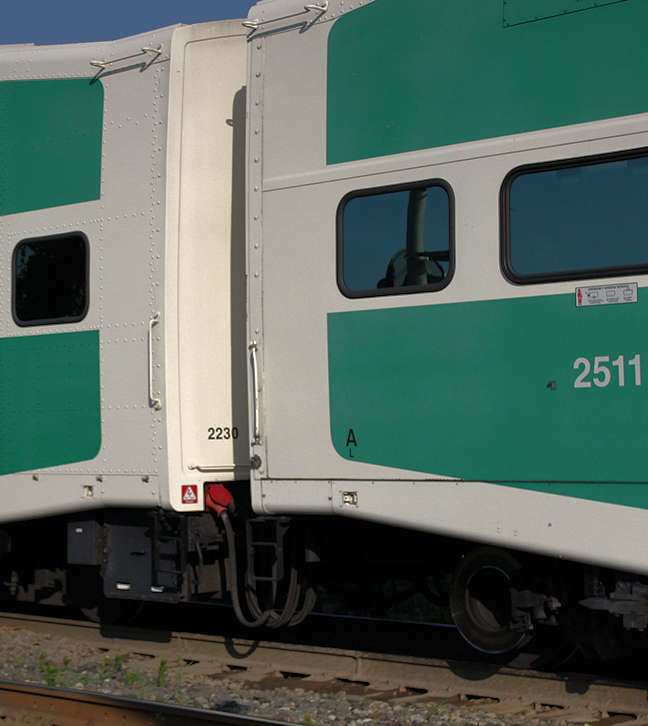 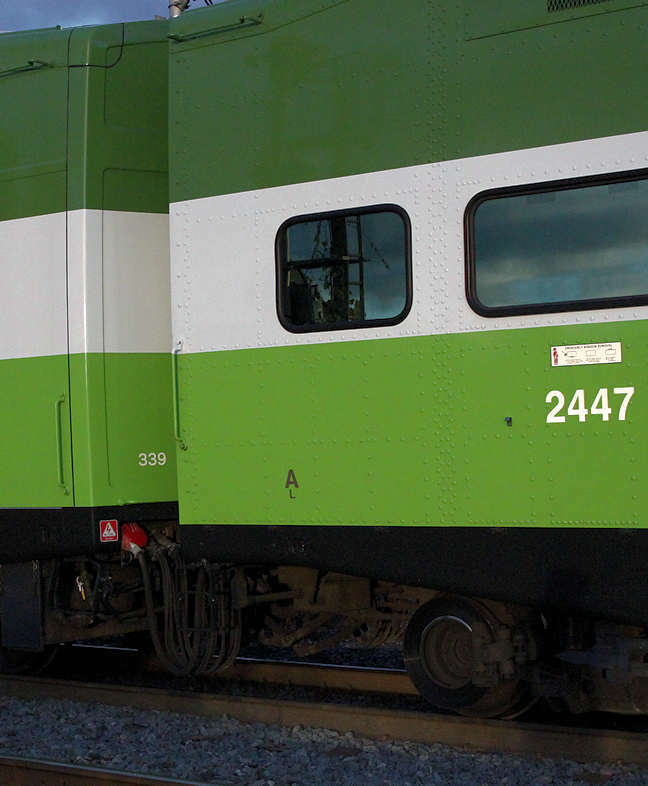 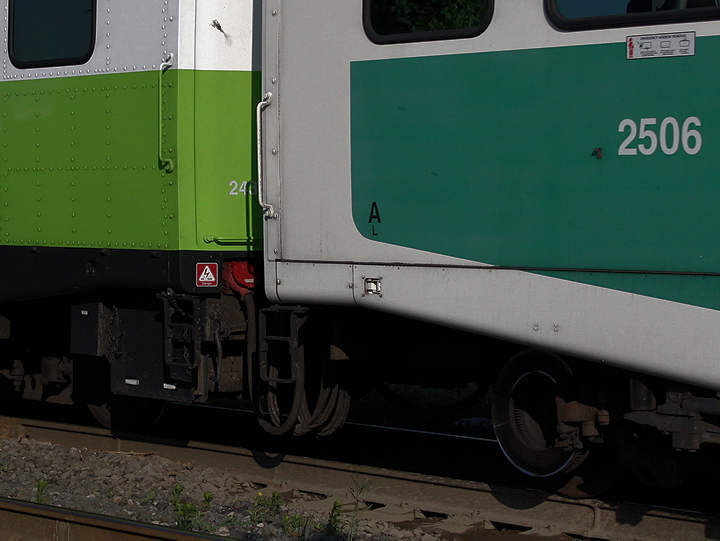 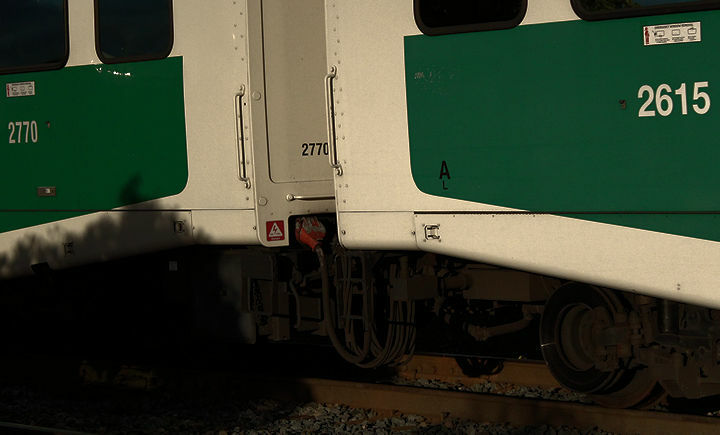 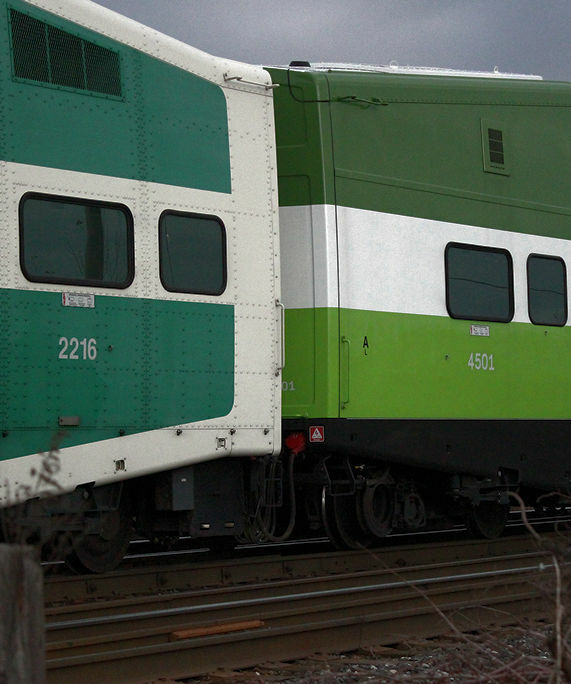 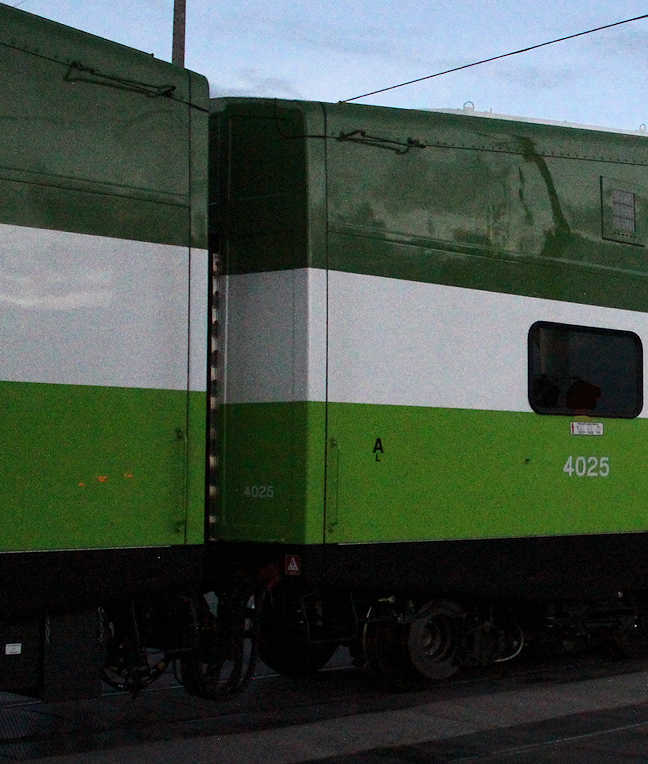 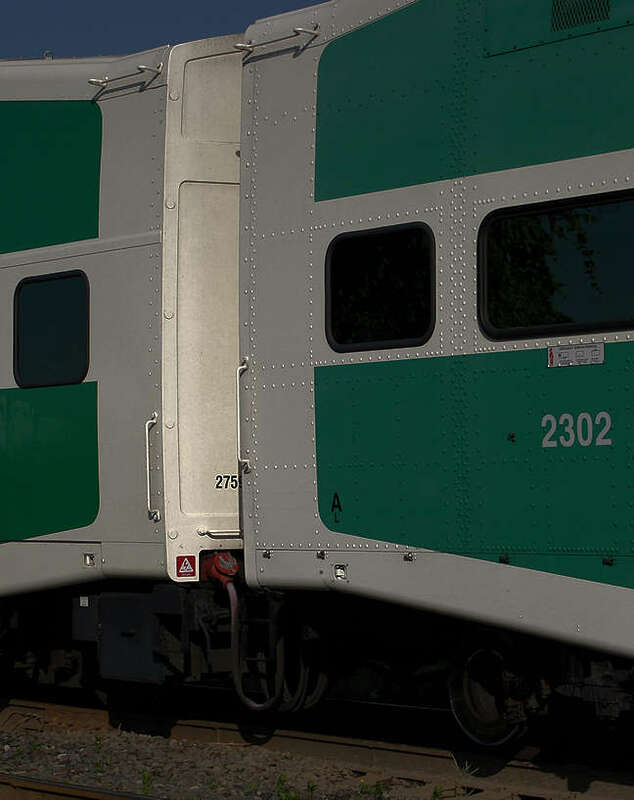 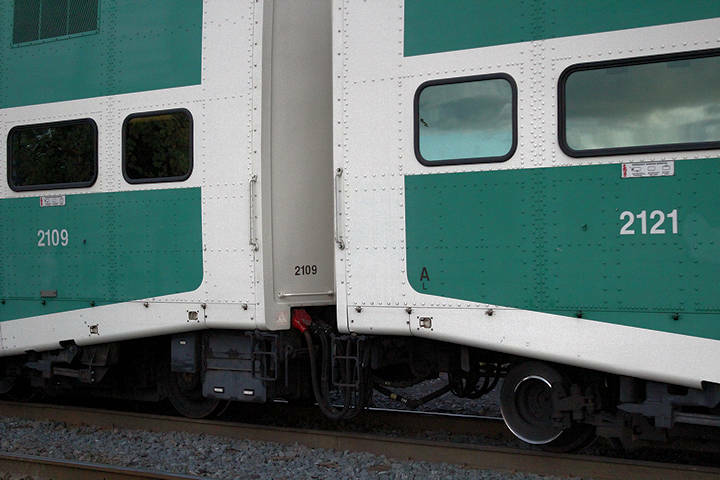 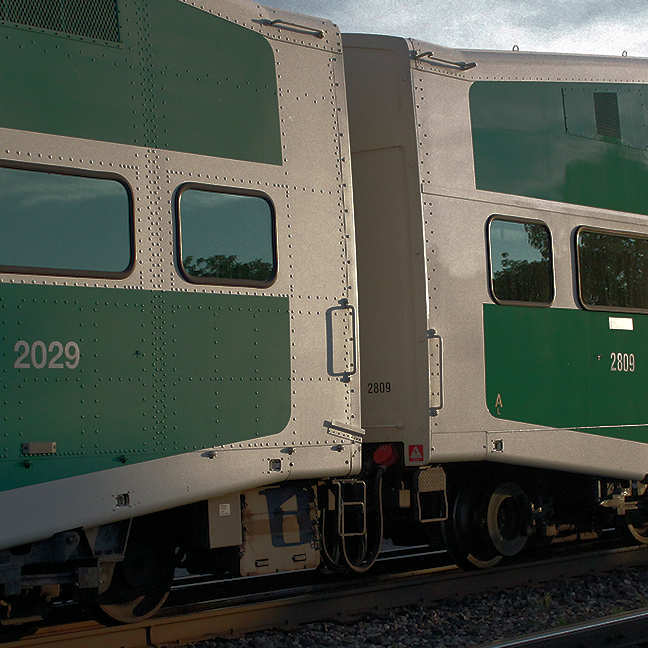 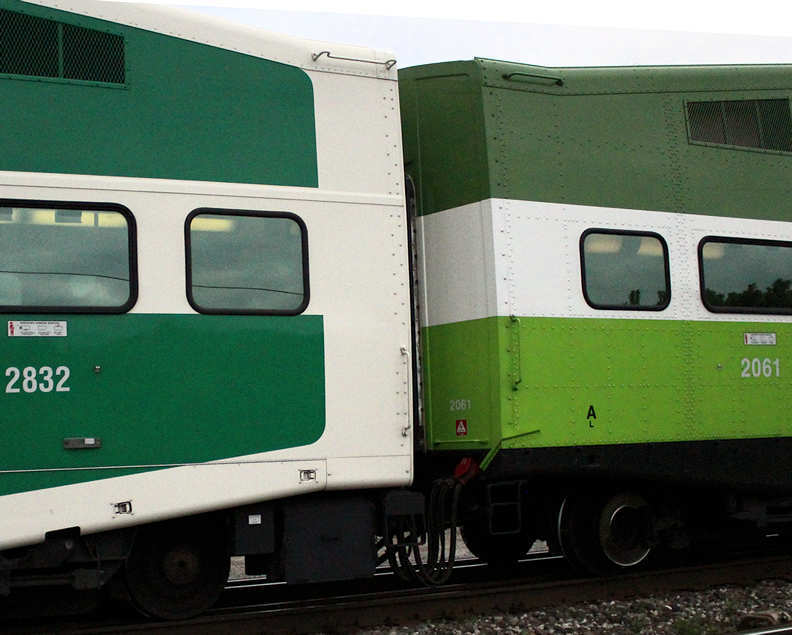 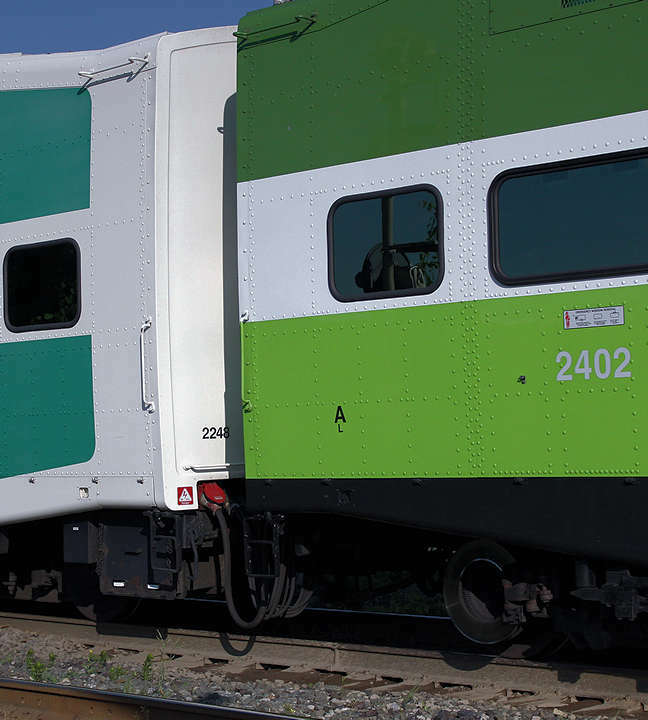 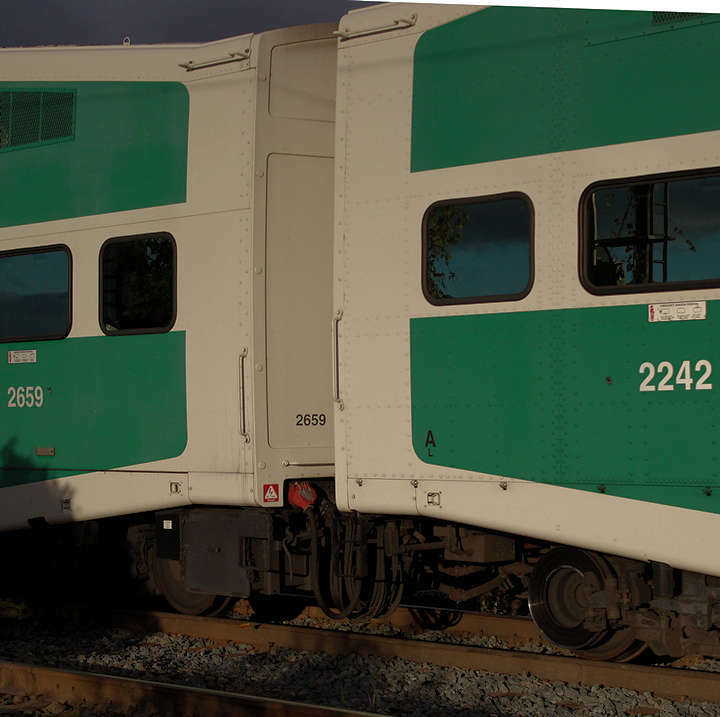 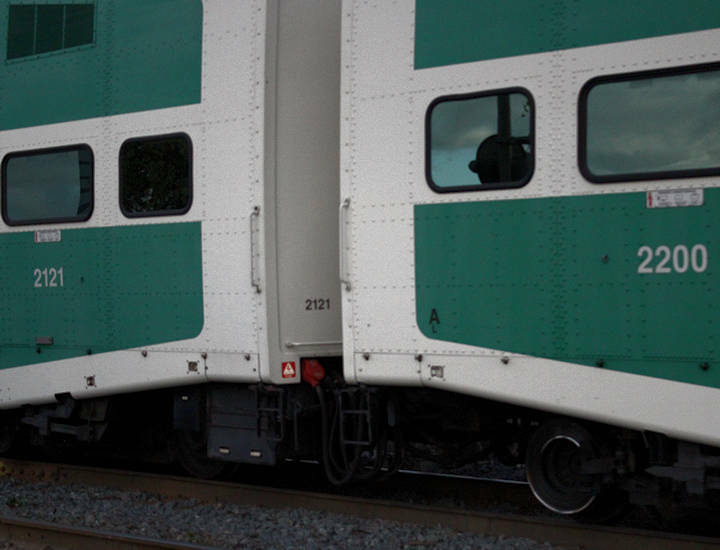 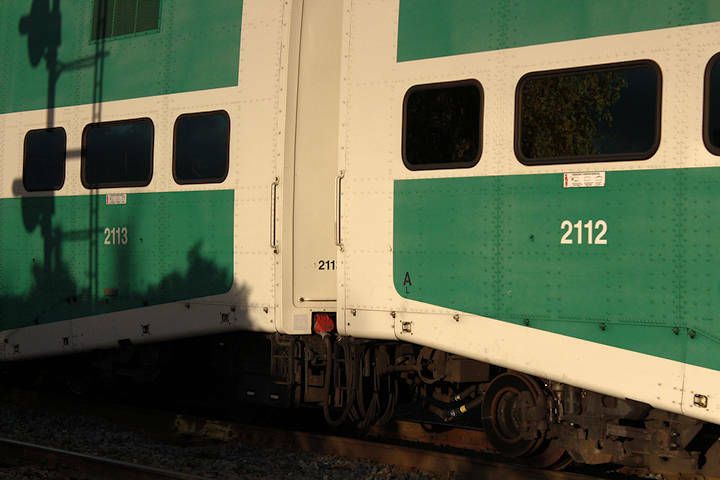 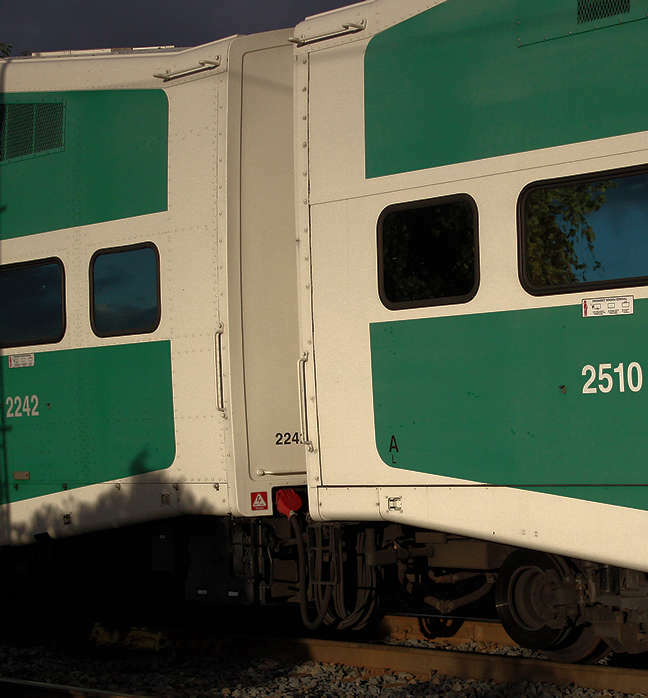 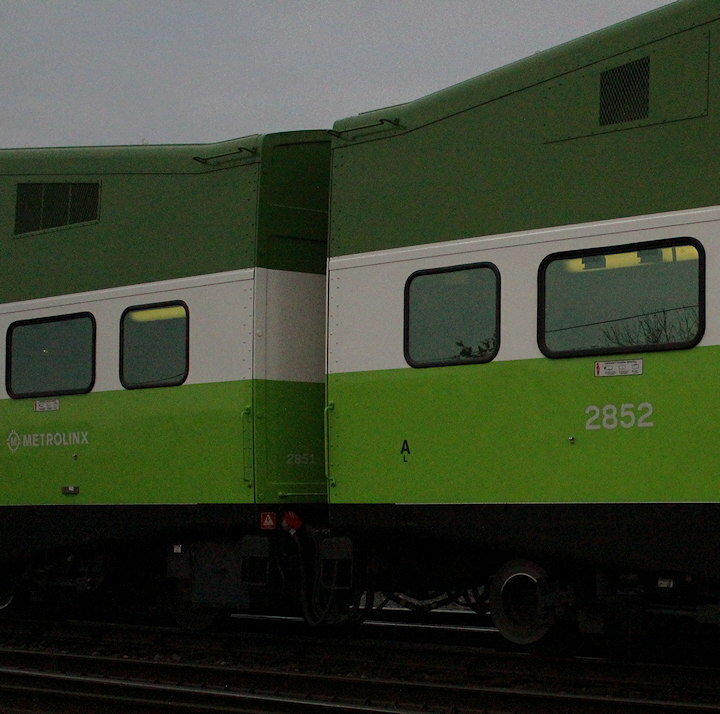 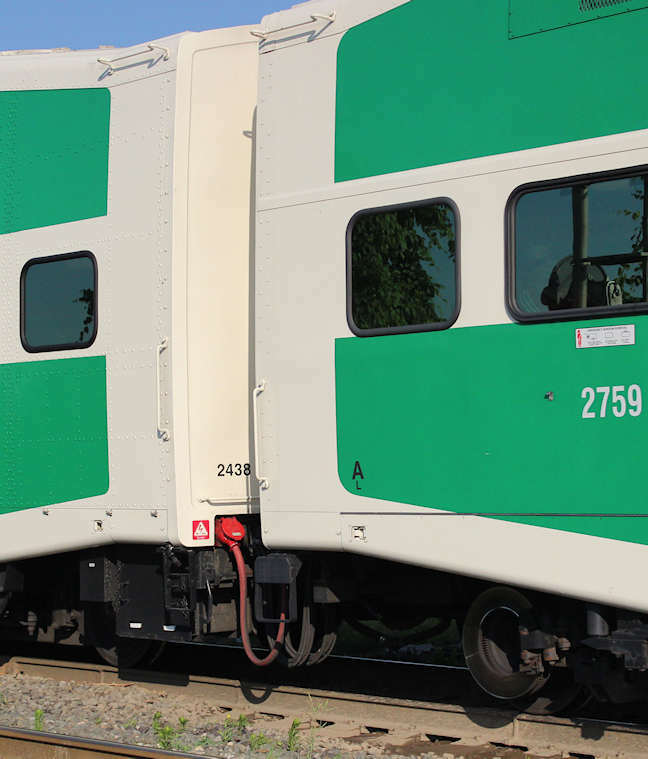 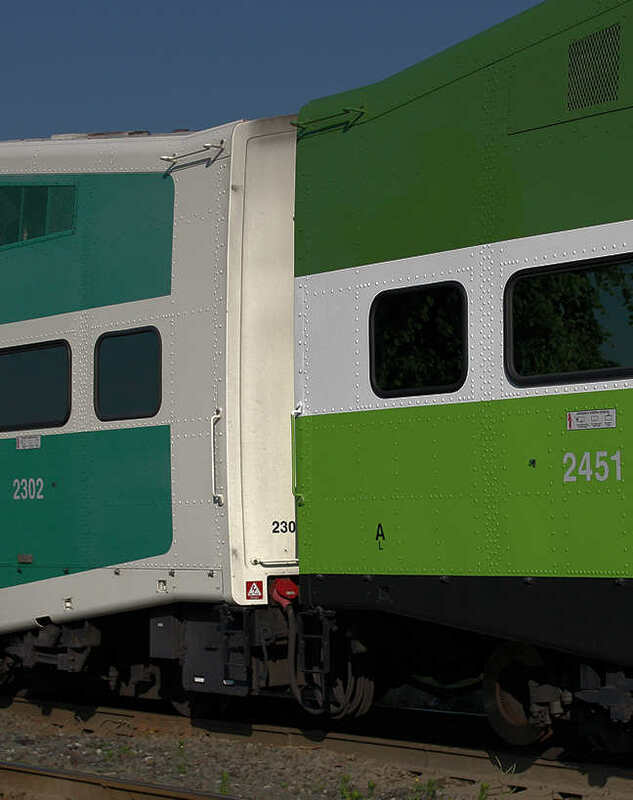 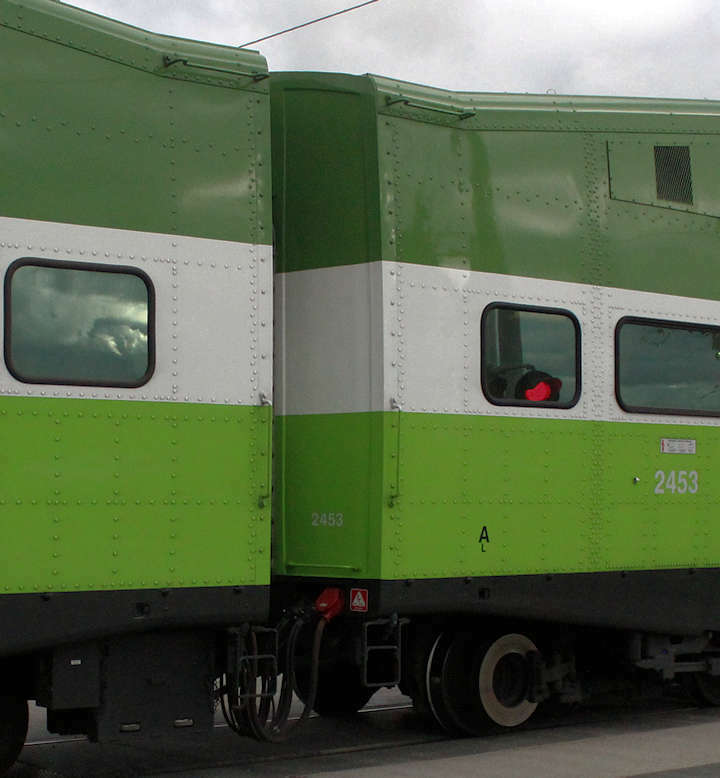 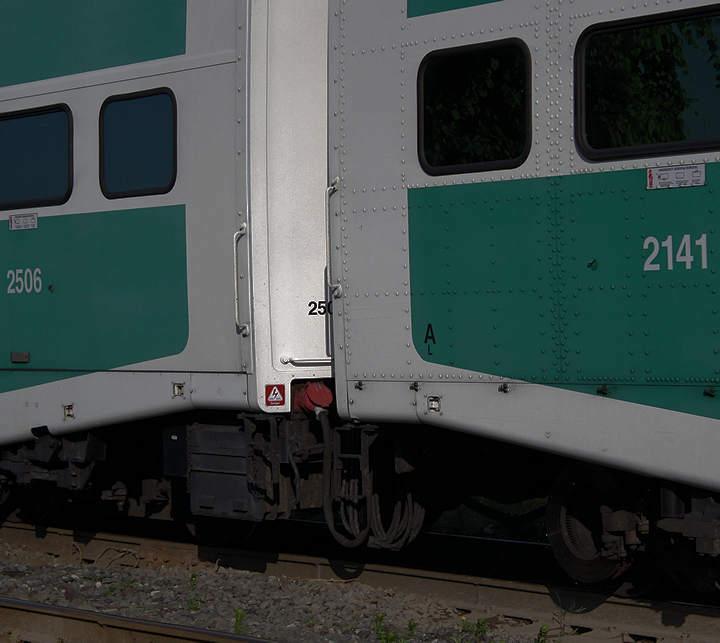 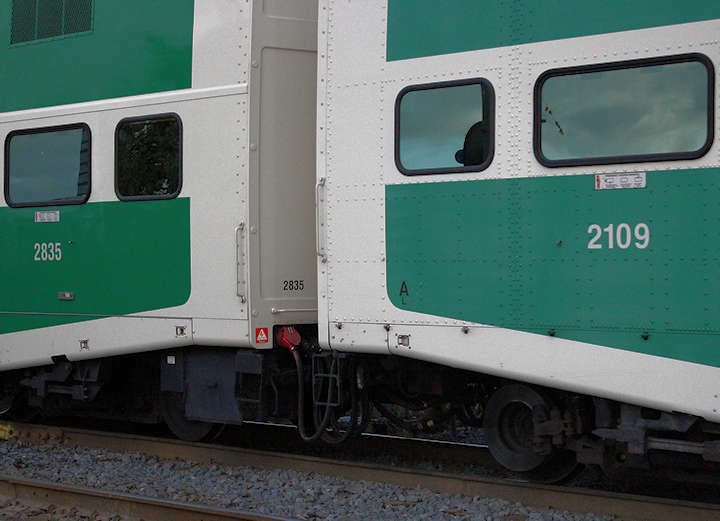 The following is a non-comprehensive representative series of GO Transit Bombardier bi-level coach side handrails and the inconsistencies of handrail placements at both A and B ends of the coaches. 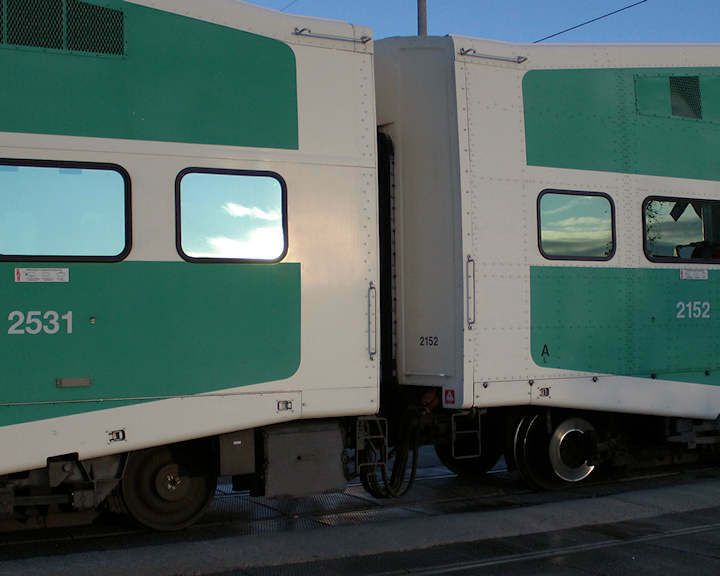 The images below include the classic colour paint scheme, refurbished coaches, the use of the classic cabcars now only as caboaches in the consists, and new paint scheme coaches and cabcars. 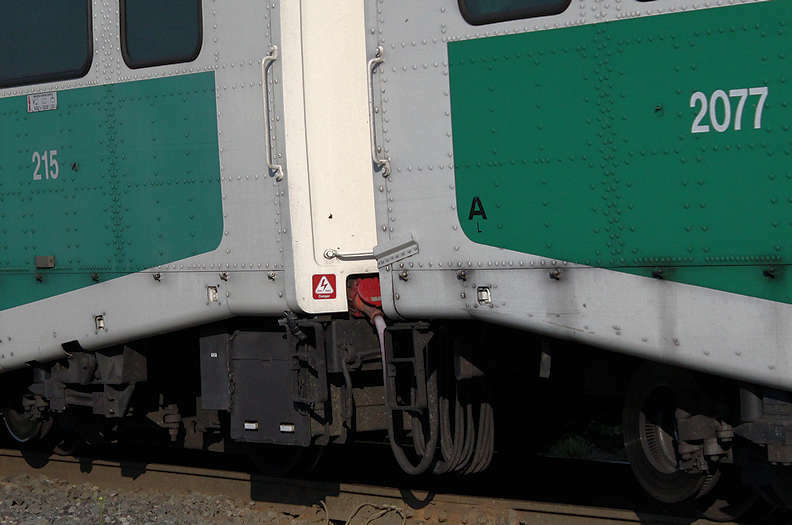 The roof top side handrails on all Series including cabcar, coaches and caboaches are consistently placed. 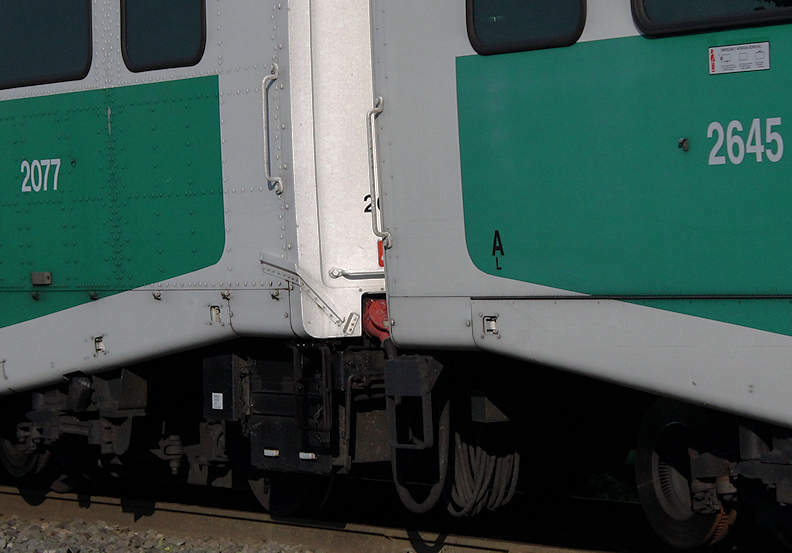 Note also the step ladder differences, locations and frames of ladders. 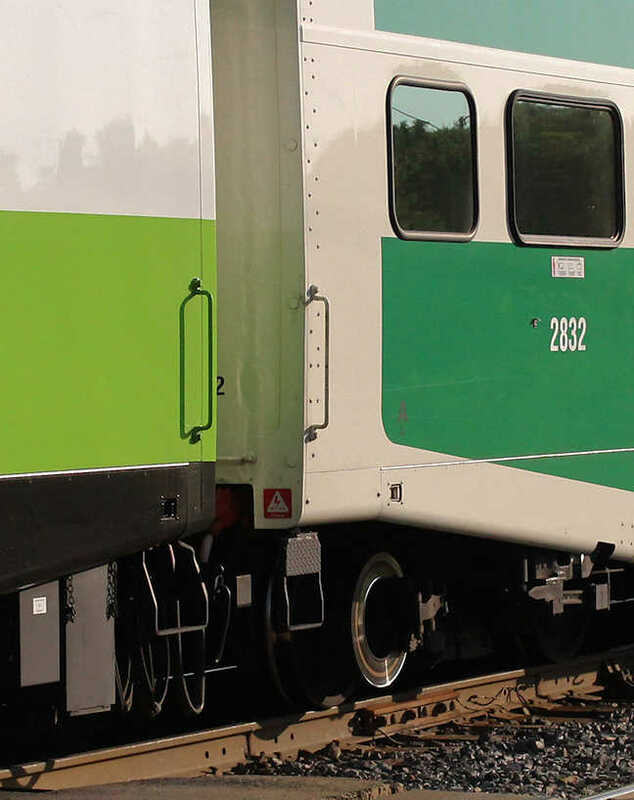 Series IX 300-366 (CEMs). 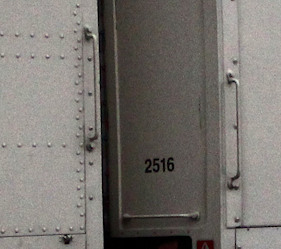 Above each photo is the Series number of each and/or cabcar/caboach with coach numbers. 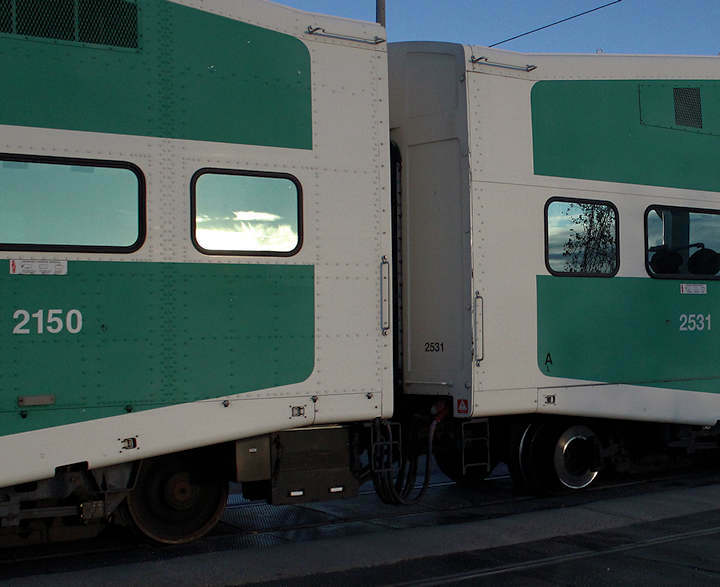 There are 200 plus paired coach combinations available. 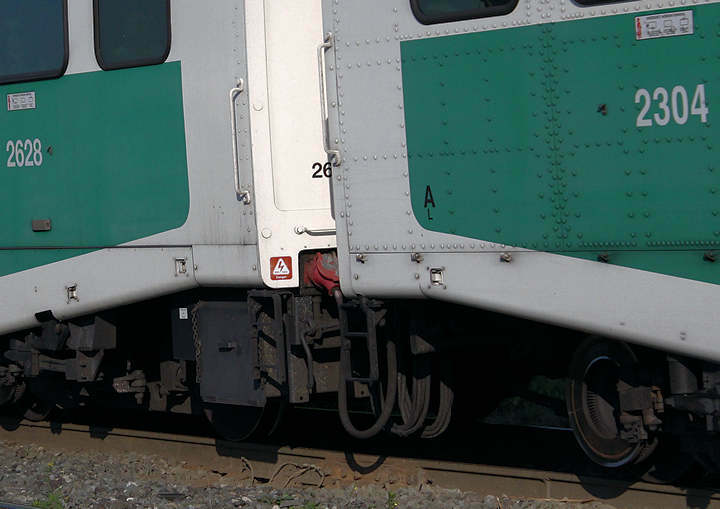 Click Button Image below to enlarge and open a new image window.